According to the Illinois Department of Transportation, 93 people were killed in truck accidents in 2011. 15 of those killed were the occupants of the truck while the other 74 were the occupants of the other vehicle. This alarming statistic illustrates what can happen when a truck is in an accident with a passenger vehicle. Everyday, there are thousands of trucks traveling the streets and highways of Illinois. When a truck has a collision with a passenger vehicle, the result can be catastrophic. Unfortunately, a passenger vehicle offers little protection when going up against a semi-truck, and wrongful death lawsuits arise when a person is killed in an accident due to the negligence of a truck driver or trucking company. When a loved one is killed in an accident, his or her absence can leave a large emotional and financial burden on a family. 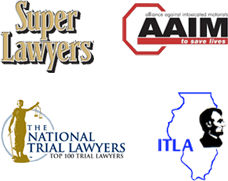 In the immediate aftermath of a truck accident, it may be difficult for survivors to contemplate the long term financial implications of the loss of their loved one, which is why it is important to work with a Chicago truck accident wrongful death attorney from Nemeroff Law Offices who can take care of the legal issues while you attend to your family. Truck accidents can leave several parties liable for damages in wrongful death claims. A truck driver may be responsible due to reckless driving or negligent driving. A trucking company can be liable for poorly maintaining a vehicle or setting an unreasonable schedule for a trucker, leaving the driver fatigued and inattentive behind the wheel. A manufacturing company may share in the responsibility for making defective equipment that caused the accident. Due to the number of potential defendants, it is important to work with an experienced truck accident attorney who has the resources to thoroughly investigate the accident. Nemeroff Law Offices can send accident reconstructionists to determine the cause of the crash. You attorney can also work to obtain any electronic recording devices that may have captured the moments leading up to the accident. Nemeroff Law Offices will also work to determine whether or not any defective equipment or unreasonable schedules may have contributed to the accident. Loss of future wages and benefits, including the amount the person who died could have earned and the amount of benefits lost received over their life expectancy. Loss of society, meaning the loss of the love, emotional support and loss of the relationship, whether it was to a spouse, child or sibling. Punitive damages, meaning what amount the defendant should be punished for his or her actions resulting in the victim's death. We offer a free consultation to evaluate your truck accident wrongful death claim. It will cost you nothing to consult with a lawyer to see if you have a case. In trucker fatigue accident claims, the truck driver or the trucking company may be held responsible for damages. It is essential that action be taken promptly to preserve evidence, investigate the accident and/or conduct in question and to file a lawsuit, when necessary prior to a deadline imposed by the statute of limitations. Call us at 312–629–8800 or complete our online contact form.